MultiPay and TablePay are two functions that will aid businesses with a fast turnover of guests where it is vital for staff to swiftly charge many tables at the same time. Multipay give you the possibility to connect multiple payment terminals to one or more payment systems. You and your staff will be able to receive card payment by multiple people at the same time without blocking a register. 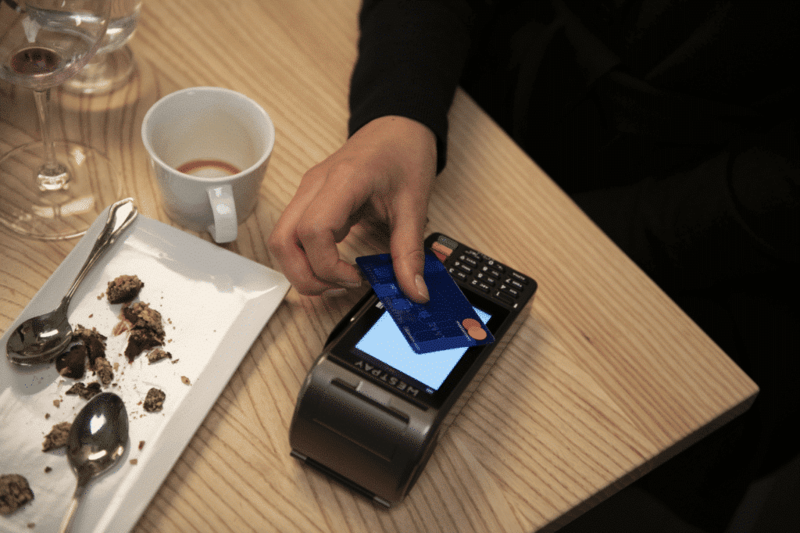 It is a great complement to payment solutions for the restaurant industry where customers want to split the bill or during the lunch rush where payment ques easily occurs. To upgrade to more than one card terminal the staff can charge multiple people at the same time and that will reduce ques. Fast transactions will help the staff to work more efficiently and they are not hindered by other staff using the same register. The MultiPay payment option can also reduce the amount of payment stations as the payment terminals are mobile. This could lead to cost savings and enhance the staffs flexibility and efficiency and free-up more space within the restaurants premises. Stationary payment solutions will often demand of the staff to print out the bill by the payment station and then go back to the table to get the bill signed. TablePay will reduce the amount of steps as the payment system receipt and the card bill will be printed at the table. The bill will be closed at the main register automatically when the bill is paid. OPEN´s products are certified and manufacture declared for TablePay by the tax agency. The payment terminals will write approved receipts directly at the table for the customer. Contact us and we will discuss with you which features that are most important for you so that you invest in the best mobile payment solution with MultiPay and TablePay for your business.